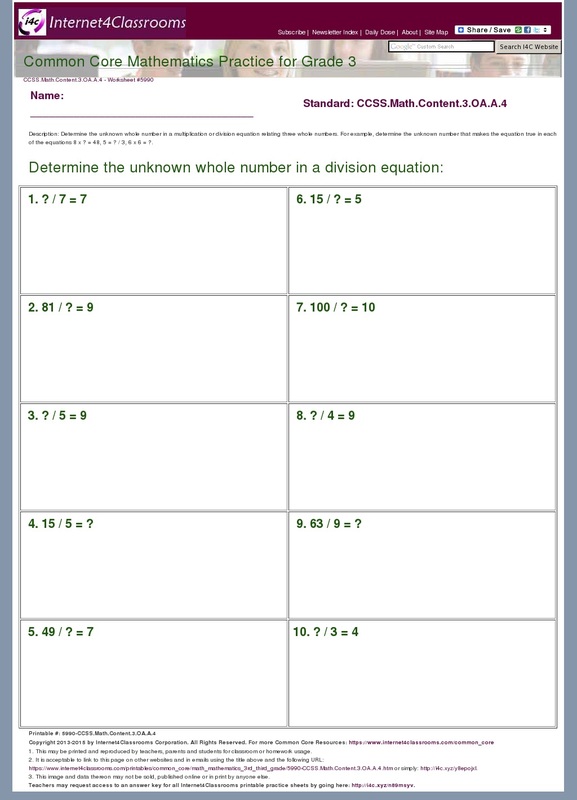 It is also acceptable to link to this page on other websites and in emails using the title above and the following URL: http://internet4classrooms.com/printables/common_core/math_mathematics_3rd_third_grade/description_download_5990-CCSS.Math.Content.3.OA.A.4.htm or simply: http://i4c.xyz/y7qkxfet. The answer key corresponding to this worksheet may be found here: http://i4c.xyz/y732fhpa. 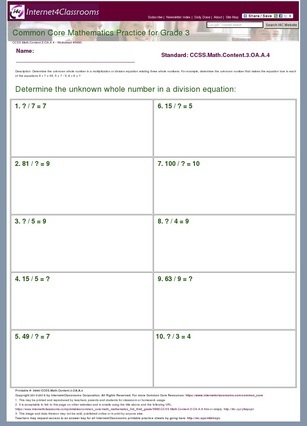 Problem Type: Determine the unknown whole number in a division equation. Determine the unknown whole number in a multiplication or division equation relating three whole numbers. For example, determine the unknown number that makes the equation true in each of the equations 8 x ? = 48, 5 = ? / 3, 6 x 6 = ?.